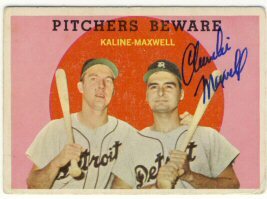 I was expecting the return in my mailbox to be from Al Kaline, who I sent a 1959 Topps already signed by Charlie Maxwell. 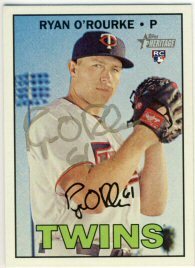 But instead, it was from Ryan O'Rourke, who signed a 2016 Topps Heritage that I sent to the Twins' Spring Training stadium less than two weeks ago. 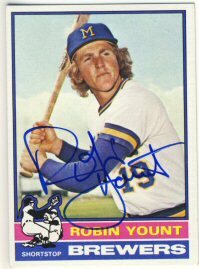 Last year I was just 5 for 12 sending to Twin's Spring Training. This year I just sent 6 requests. 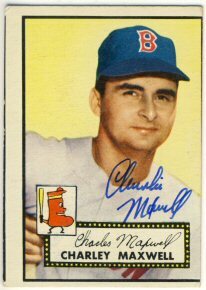 Today I received a nice vintage return from Charlie Maxwell who signed his 1952 Topps and a 1959 Topps Pitchers Beware card. The 1952 Topps is miscut, but the cards are pretty expensive so I bought one that was relatively affordable. I'll send the 1959 Topps off to Al Kaline to finish it off this week. 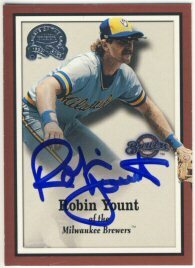 Yesterday I received a Robin Yount autograph that I had sent to Waukesha Sportscards for a signing late last month. I really like the 2000 Fleer Greats of the Game set and may try to add a few more this year. 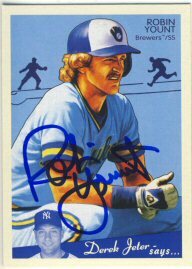 I think I'm done with Yount signed cards now. 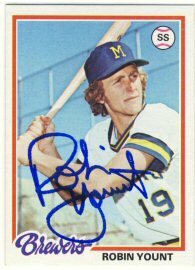 I have a 2008 Goudey as well as 1976 and 1978 Topps signed by him.